Have fun to learn! 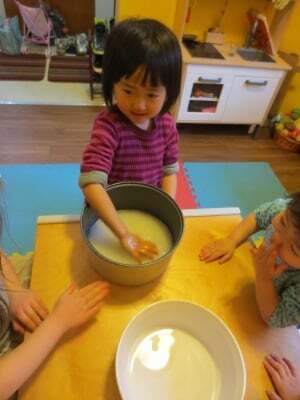 At MOMIJI Preschool, teachers assist children nurture their interest to grow. Children will be taught the fun of learning through their experience in everyday life. 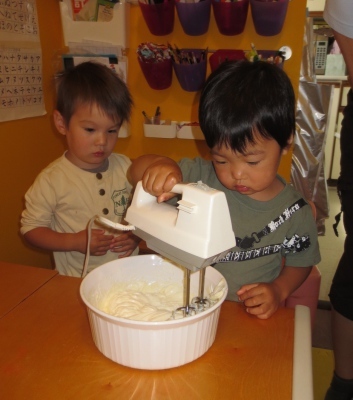 At MOMIJI Preschool,  children will learn how to respect each other and build trust relationships with friends in the safe and fun environment. Play is the most important thing for children. 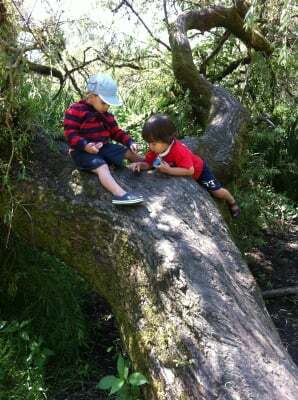 Through play, they will have questions about many things, which will lead them to gain ability to think. They will develop creativity and nurture their ability to understand through imagination. 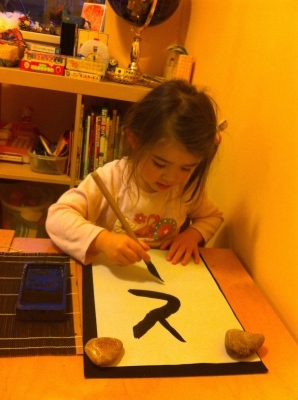 At MOMIJI Preschool, the children will experience the Japanese culture in a Japanese-spoken environment. 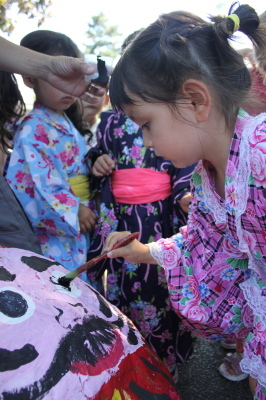 We hope these children will understand the Japanese culture and, ultimately, be able to pass it to the next generation. The experience will also lead the children to explore and discover the different cultures in the world. 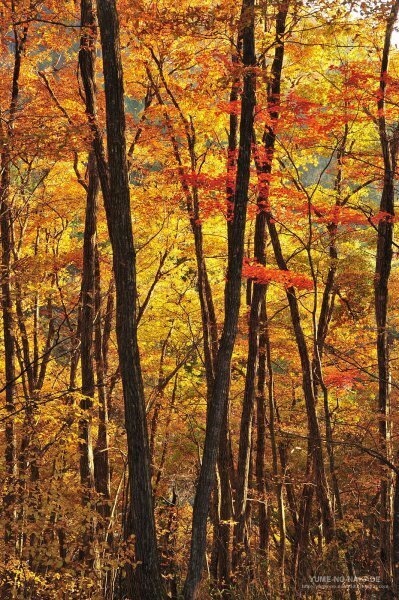 Nature tells us the way of life - Children are inspired by the nature and grow with strong and kind heart. From finding a little bug to traveling to universe, their minds wonder without stopping. 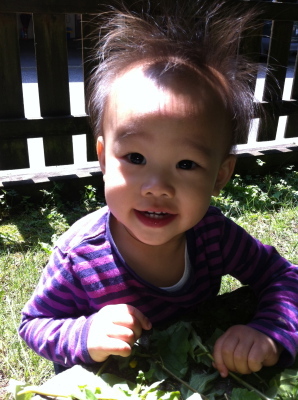 MOMIJI Preschool will provide valuable experiences in nature, which will stay in children's memory for a long time. 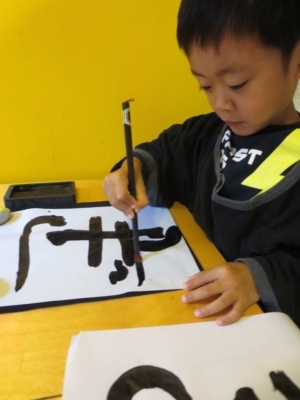 Children will start the Japanese Calligraphy classes at two years old here at MOMIJI Preschool. 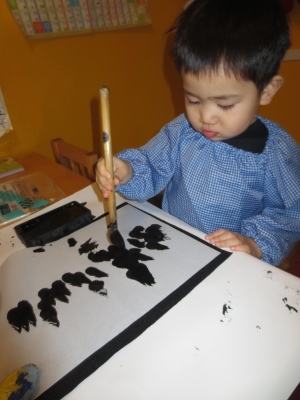 Using Sumi-ink makes the learning of letters more interesting for children. Children will also enjoy learning Japanese through various fun word games. We have a cooking week every month. Children will enjoy the meals which they cook themselves and learn to appreciate the food and people who grow ingredients. 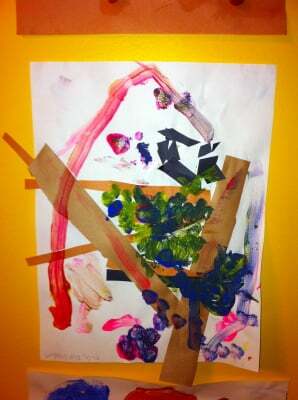 10 children create 10 different artworks inspired by the same object. There are 10 different ways of feeling when they look at it. 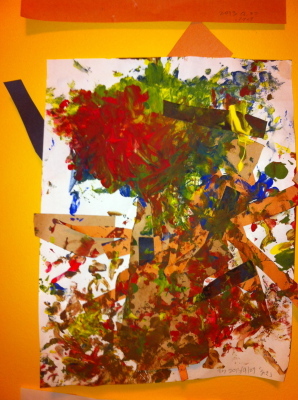 MOMIJI teachers stimulate the artistic mind in children and help them to express their creativity in their own way. 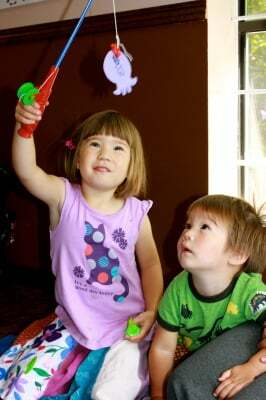 "MOMIJI Family Daycare" was opened in Vancouver, Canada in 2007. It started as a small daycare with only 5 children. Our Japanese-style childcare and Japanese language education have been supported by many families since opening of the daycare. The Vancouver Japanese United Church has cooperated us to shift to “MOMIJI Japanese Preschool” in 2015. “MOMIJI Japanese Preschool” provides children opportunities to be themselves, inspire each other, challenge themselves, and enjoy their achievements with friends and teachers.